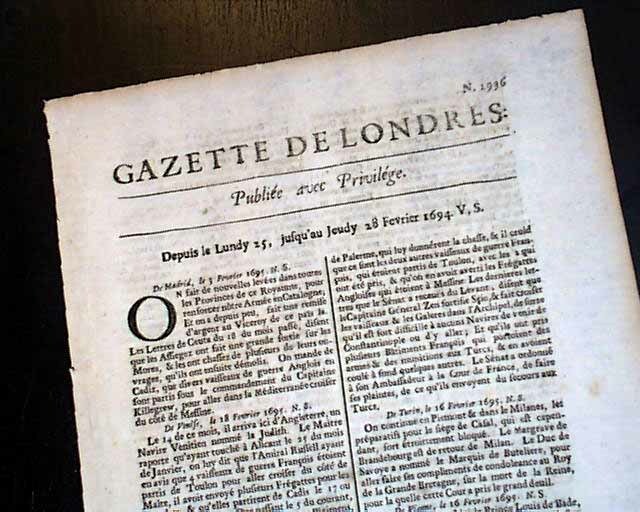 GAZETTE DE LONDRES, Feb. 28, 1694 This is a very rare issue of the French language edition of the very famous "London Gazette". 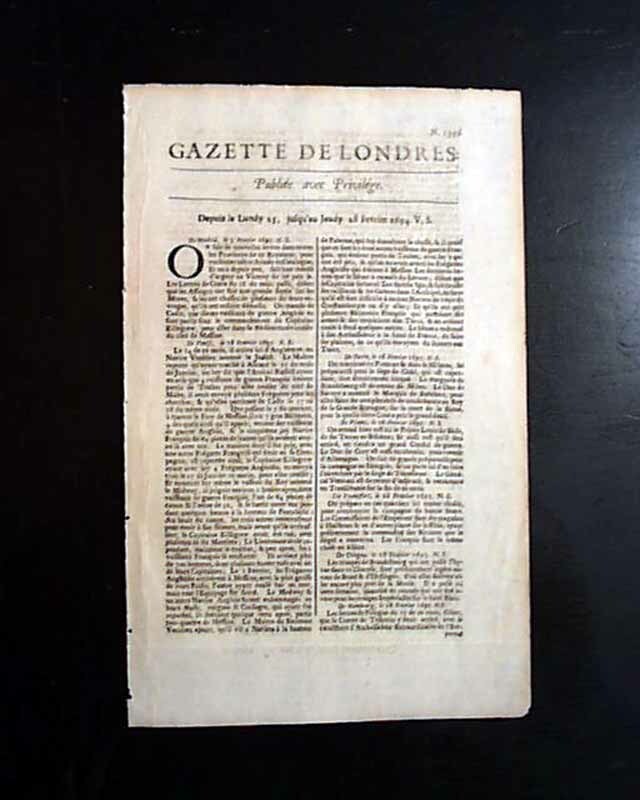 Obviously printed for the French speaking residents of London, it was also printed by "Edouard Jones, a la Savoye" as was the case with the the English version. 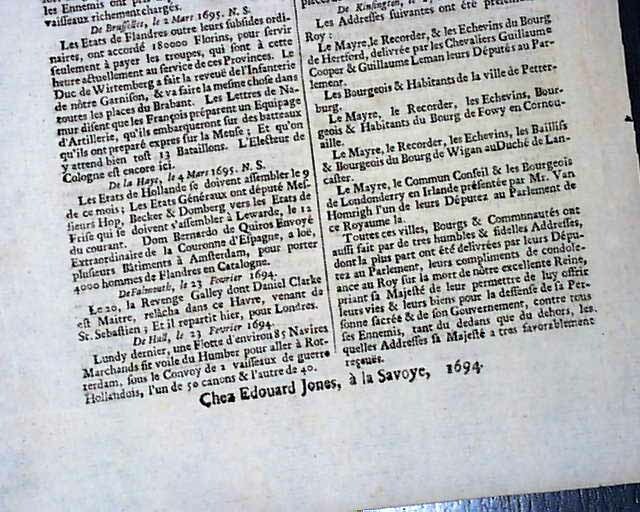 This is only the fifth or sixth such French language edition we have encountered in over 40 years. 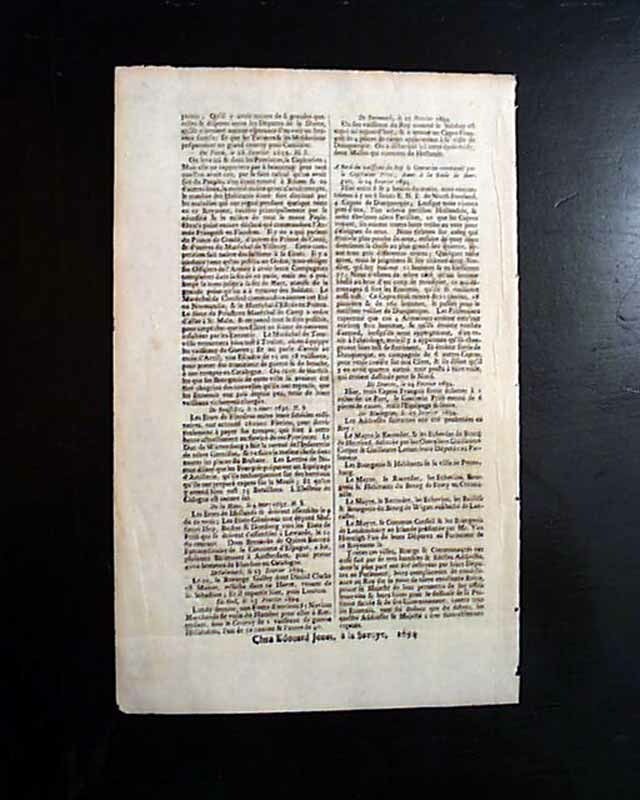 Complete as a single sheet issue, 7 1/2 by 11 3/4 inches, very nice condition with wide borders.